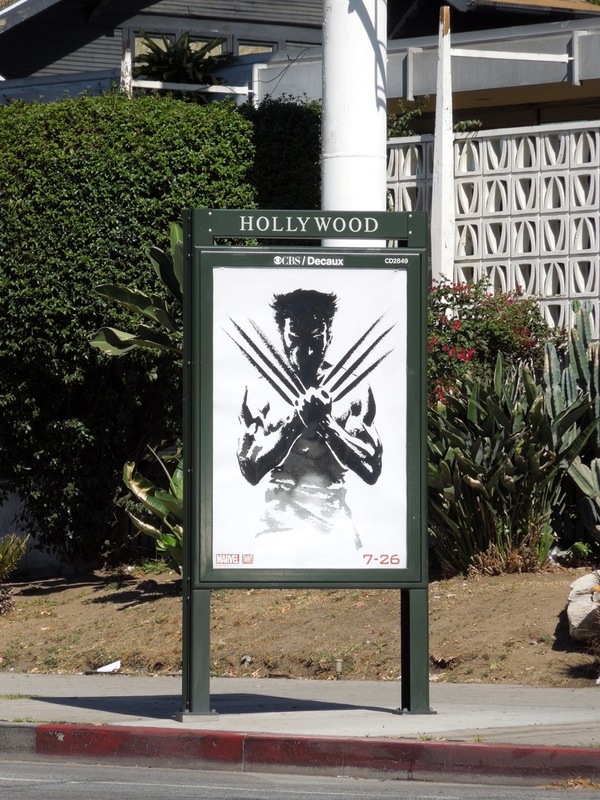 Iron Man isn't the only Marvel Comics character returning to the big screen this Summer, as Hugh Jackman reprises his starring role as The Wolverine. 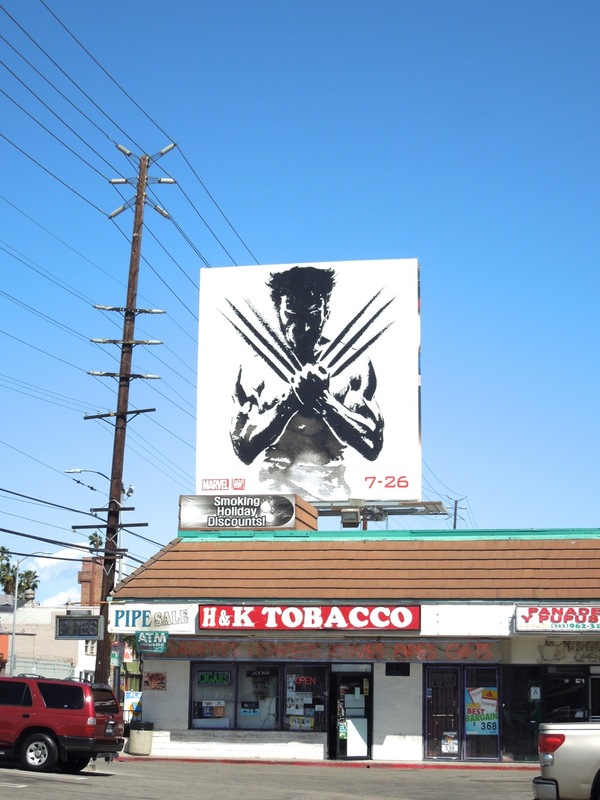 In this new action-acked installment the clawed fast-healing mutant is out to redeem the poor critical reception of his first solo outing in 2009's X-Men Origins: Wolverine. 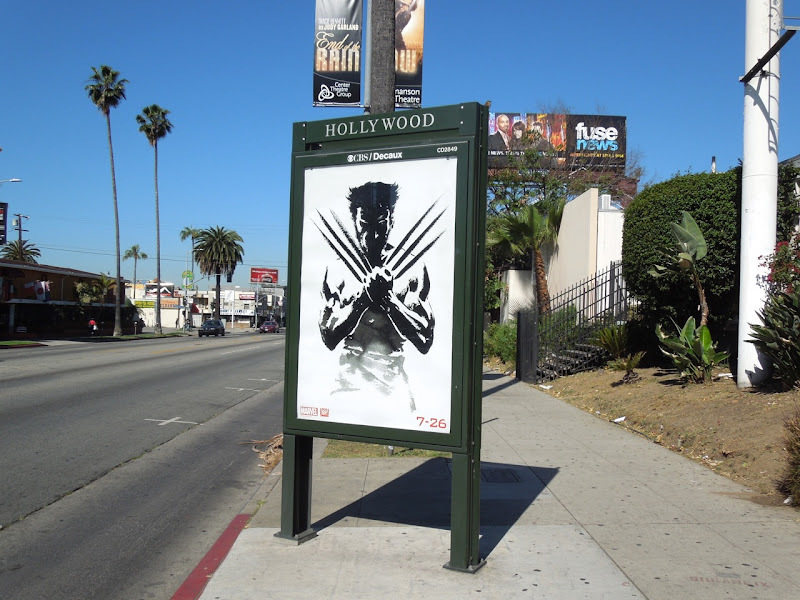 This time he's back as simply 'The Wolverine' clawing his way back into the spotlight with a serious samurai storyline ripped from the pages of the classic Chris Claremont and Frank Miller 1982 limited comic series set in Japan. 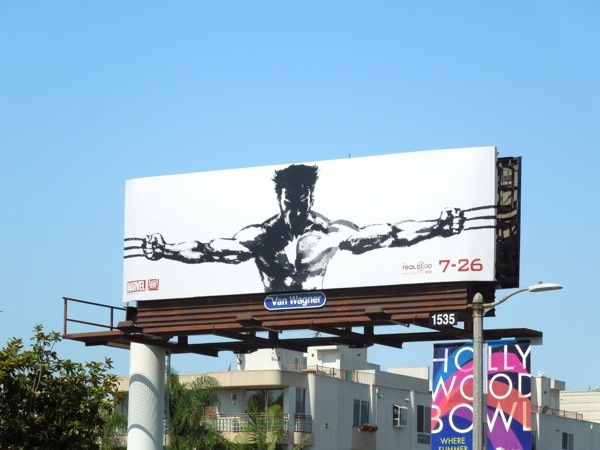 These iconic looking charcoal etched creatives certainly lend credence to Hugh Jackman's claims that this sequel will be truer to the Marvel character's origins. 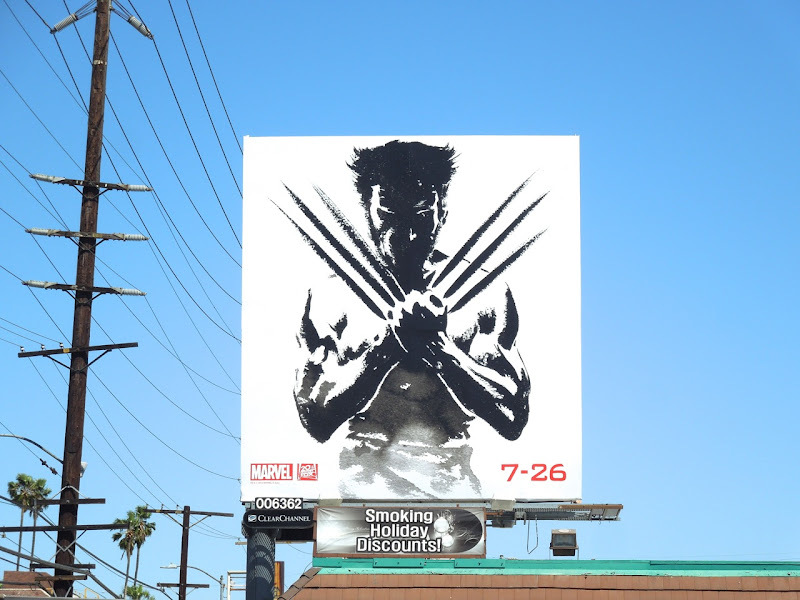 Plus the inclusion of Logan's love interest 'Mariko', feisty ninja 'Yukio', and his deadly enemies 'Silver Samurai' and 'Viper' can't hurt matters either. 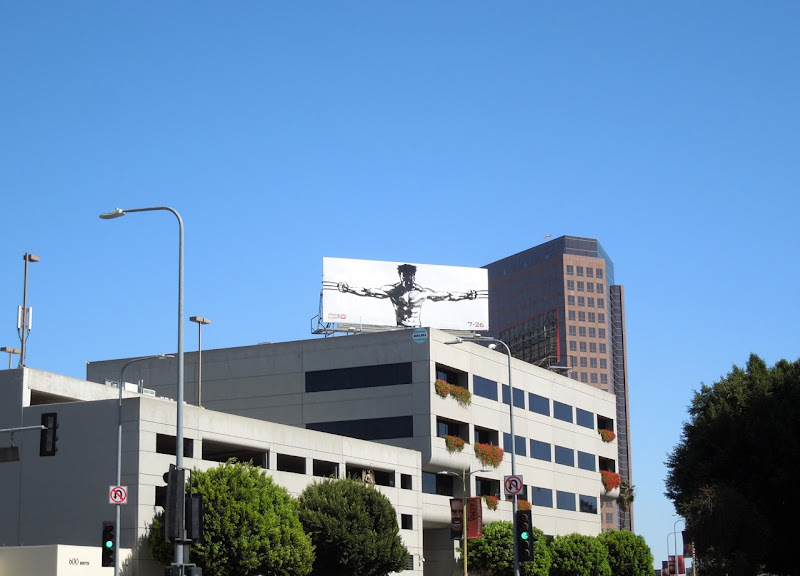 These striking teaser billboards and posters were spied lining the streets and skies of L.A.'s Sunset Boulevard and San Vicente Boulevard on April 9, 2013. 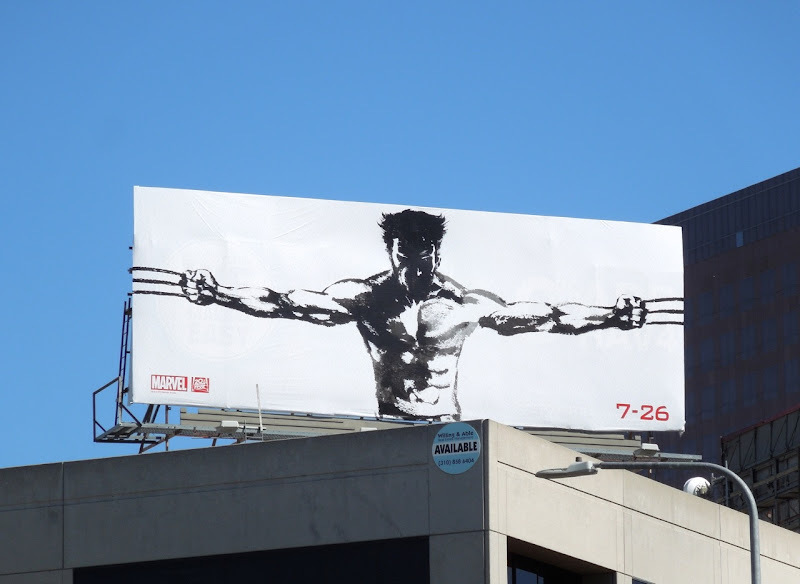 Daily Billboard thinks you'll agree that these superheroic creatives certainly make the cut. 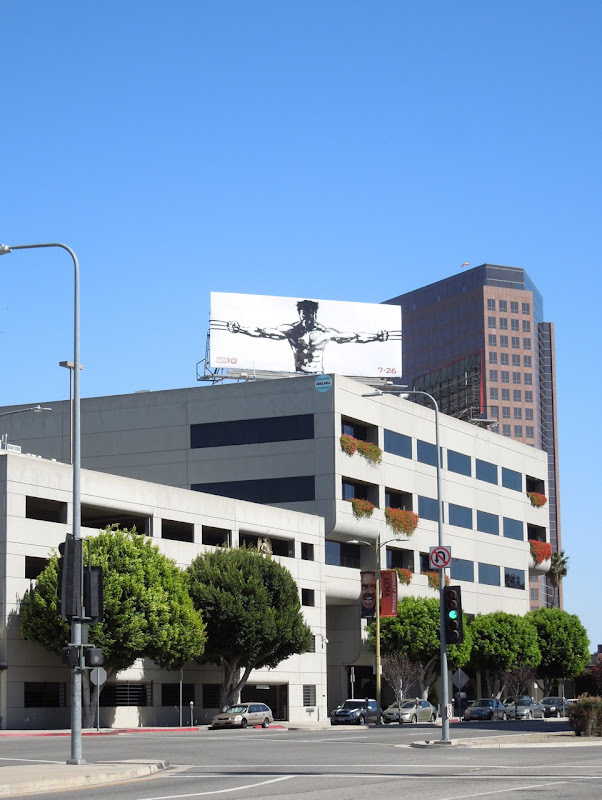 UPDATED: Here's a cool billboard version of Wolverine in a classic pose with his claws crossed across his chest like an 'X', snapped along Santa Monica Boulevard at Vine Street on April 16, 2013. 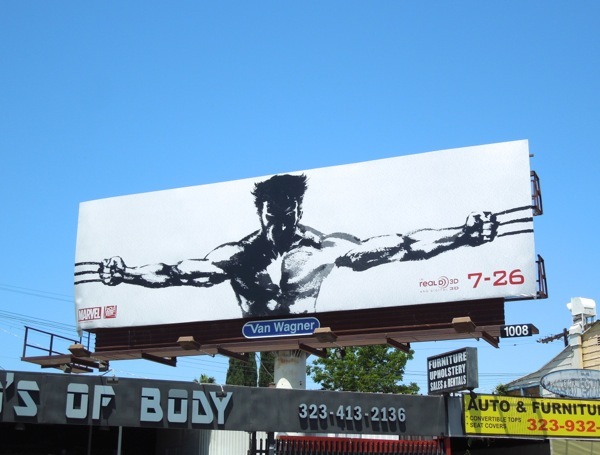 UPDATED: Rather interestingly after taking a break these same suiboku-ga inspired billboards for The Wolverine movie have returned to L.A.'s skies this past week. 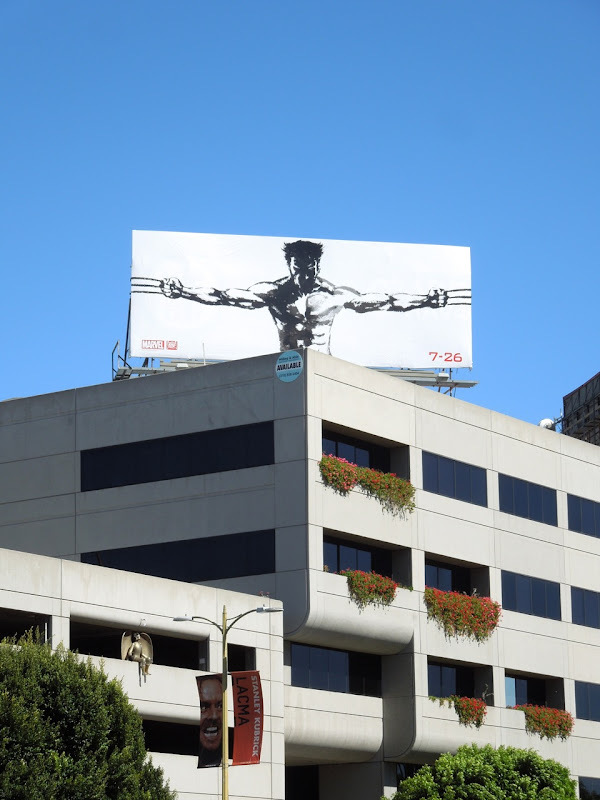 With a summer already filled with superhero movies like Iron Man 3 and Man of Steel, Daily Billboard is intrigued to see how this second solo outing for the fan-favourite canucklehead will fare. 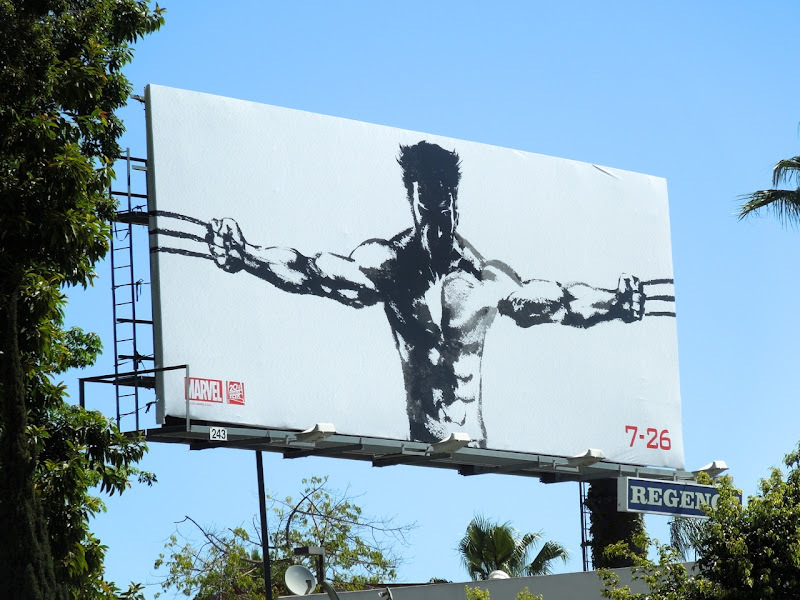 This Japanese monochromatic painting style ad was snapped along Beverly Boulevard and Melrose Avenue on Jul 2, 2013, and what you really don't see unless you're up close is the textured finish on the white background hinting at the type of paper the ink wash brushstrokes are painted on. 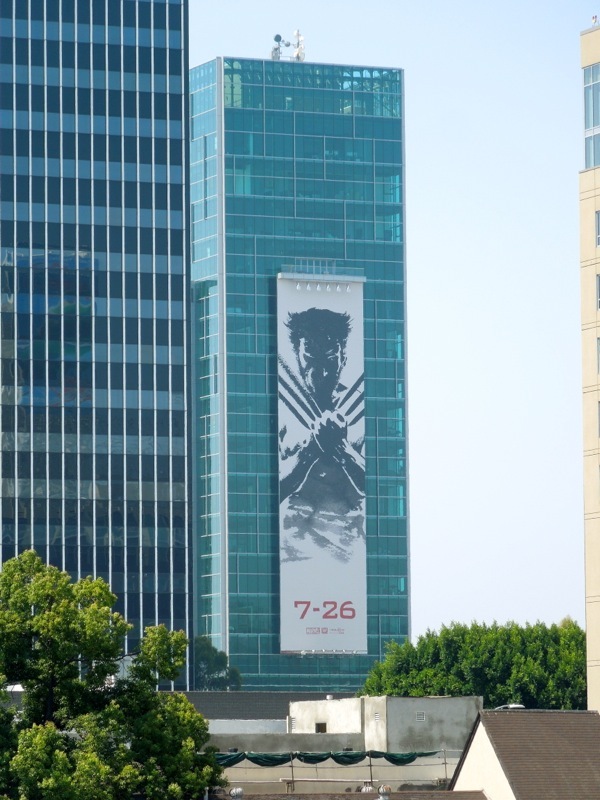 UPDATED: In addition The Wolverine is making a big impression towering over Sunset & Vine in Hollywood on July 13, 2013. Isn't it funny how instantly recognisable this Marvel character is, that you don't even need to put the title of the film on the advertising to sell the movie.